Downtown Durham is seeing a ton of development and the most prominent and striking examples are the tall buildings (skyscrapers by Durham standards). The Durham skyline is changing and growing as we speak. The silhouettes that represent this city have yet to be finalized. It's an exciting time (of course, some have their reservations about these developments. This blog will cover issues around gentrification and inequality in urban development going forward as well). 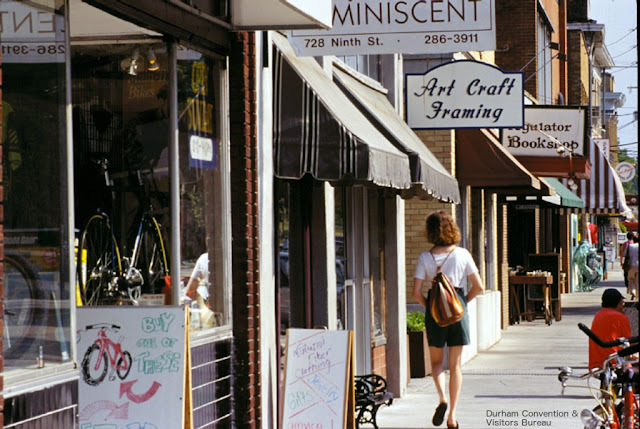 One City Center will be a huge deal for Durham. In a city that lacks enough iconic, high-end office space, this building will certainly fit the bill. Duke has already committed to leasing space in the building and recently WeWork announced that they will be moving in as well. Having a WeWork space, with their connection to the startup community could be a huge step forward for a city that already has a solid startup presence. *Durham Innovation District is billed as just that, a district. There are two large buildings under construction right now, but there are also plans for green space between the buildings and the website lists a large chunk of the Durham Warehouse District as part of their "Innovation District". The innovation district could push Durham forward even further as a leader in medical research and development. So far, Duke Clinical Research Institute is the only confirmed tenant of the new buildings, but the "district" is also home to Duke University, the 360 approach, Nutanix, Beer Durham, Duda Paine Architects, and Measurement Incorporated. With such a large footprint and added retail and restaurant space, this building could spark the Warehouse District as another downtown destination area, in addition to Main Street, the Central Park area, American Tobacco Campus, and Brightleaf Square. There has also been talk about a top-floor restaurant within one of the buildings, which, if true, would provide amazing views of the city. With the proximity to American Tobacco and the video flythrough above, I assume this will fit right into south downtown's clean, new vibe. There is definitely a specific aesthetic to American Tobacco Campus, the Durham Bulls Stadium, and now 555 Mangum. Regardless of your opinion on this aesthetic, it is sure to expand the downtown landscape and further legitimize Durham as a city with an impressive downtown. A rooftop restaurant is planned for 555 Mangum as well! Residences at the Van Alen is the residential building that will be next to 555 Mangum. This building is supposed to be completed first. However, there is not a ton of public information available. These appear to be rental apartments for the most part. I'm interested to know more about what will come of the Van Allen. I wonder if more information is available via public record? I will definitely keep my eye on it and update this page as I learn more!